Streamline your talent acquisition and produce results with the TalentBrew recruitment marketing platform. From attraction and engagement to optimization and tracking, the TalentBrew software platform uses the latest technology to activate your recruitment brand and simplify every aspect of your recruiting process. The TalentBrew Software Platform engine accesses, imports and stores your jobs and content into the TalentBrew database and your TalentBrew Career Site. Aligned with search marketing strategies, your jobs and content are available to push to your candidates through your career site, social channels, web banners or any other online vehicles you choose – creatively customized to each one. 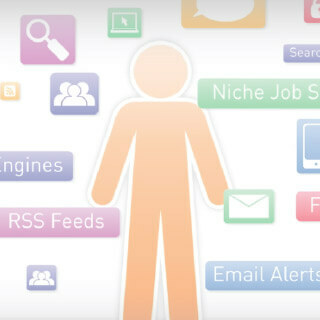 Powerful functionality and external widgets give you advanced filtering, search facets, related content pairing, job alerts and external site integration. This allows the candidate to self-select out or find an opportunity that’s the perfect fit. Then they can apply for a job, share a job or join your talent community to receive alerts when the right job for them becomes available. Optimize and Track Your Results. From CPA, CPH, time to hire, hire ratio, quality of application and quality of hire, you’ll have metrics and in-depth analytics that tell a powerful story – shining a light on optimization solutions. The TalentBrew Software Platform gives you a variety of customizable modules and the creative flexibility to promote jobs, locations and categories based on your strategies – increasing your ROI. You’ll be able to track every step your audiences take, through application and beyond, simplifying your process and maximizing your budget. The TalentBrew Software Platform is constantly evolving to anticipate industry trends and your company’s talent acquisition needs. Driving these innovations are TMP’s global industry leaders – passionate and knowledgeable individuals who are at your service, so you can stay competitive with innovative technologies and strategies. Our Network attracts more than 250 million visitors a year.